Instagram is a mobile platform that’s driven by both photo and video content. Got a brand new vehicle on the lot? Share it with your audience by taking a quick picture on your phone, or better yet, upload a walk around video. The platform is also a great way to bring your customers into the dealership without them having to step a foot inside. You’re able to share your dealership and employee culture, walk customers through your service bay or around your lot. Many dealerships are already creating and sharing this content on Facebook, Twitter and YouTube, why not share it on a platform like Instagram where visual content thrives. With an Instagram business account, you can have a CTA button attached to your account as long as it’s connected to your dealership Facebook page. The new “Stories” feature allows your dealership to share daily updates that aren’t locked to your profile and will disappear after 24 hours similar to the functionality of Snapchat. There are few things in life that photograph or videograph as well as cars. Black_List has 2.4m followers and posts 2-3 times every 24 hours. Their account features super cars, luxury cars, motorcycles and more. 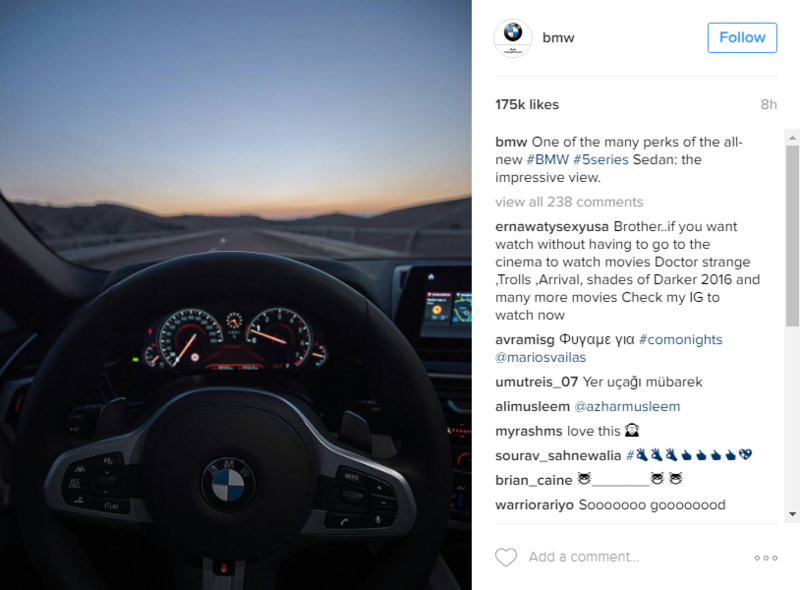 BMW’s OEM instagram account has 9.9m followers and posts all things BMW. Here you’ll find BMW’s new and old, features, artistic brand shots and more. Does your dealership always try to be ahead of the competition? Want to innovate and lead the way with your dealership marketing? Of course you do and Instagram is a great way to do just that. 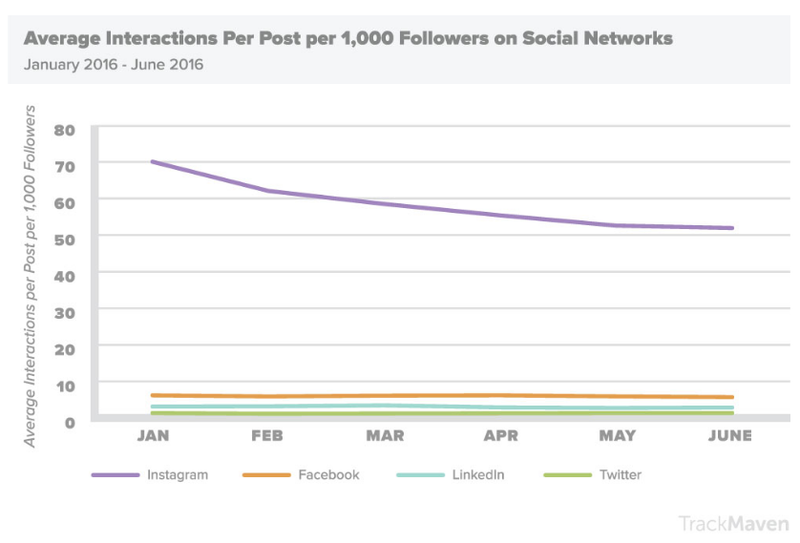 Instagram is quickly climbing the ranks of the most popular social platforms in the world. Exclude popular Asian and messaging platforms and Instagram is in the top 3. Not only is it one of the most popular platforms, but it dwarfs other platforms when it comes to engagement. Build your brand, increase your engagement and future proof your social media marketing – what’s not to like? We’ve been through this before. Remember the days we argued that Facebook was full of millenials? We said things like “nobody who would buy a car uses Facebook”. Well, we’re past these arguements with Instagram now too. Those millenials we used to avoid, they’re purchasing vehicles and better yet, as of 2015, 43% of users were a part of the 30-65+ demographic. I would suspect this percentage has only increased. Women have become an increasingly important demographic for car dealerships and Instagram presents a unique opportunity to speak to this segment. Instagram has 7% more women users than it does men. Instagram is owned by Facebook, meaning if you’re advertising on Facebook you have the option to advertise on Instagram too. If you don’t have an account, you can still advertise on the platform, but users won’t be able to interact with your page. Integrating your advertising with your Instagram account is a great way to build your brand and create a community of engaged followers. If each new buyer follows you on Instagram, think of how easy it would be to promote a service special to your followers and followers like them. Like ads on Facebook, Instagram ads are native and unobtrusive. They are clearly identified as paid content, but are not pushy in a way that discourages user interaction. Following the trend of the platform, our data shows that carousel and video ads work best on Instagram.